Although hospitality industry is huge and rapidly growing over the years, the competition to get a job and develop a career in this business is also fierce and tough. Even when you are successfully employed in this industry gaining valuable experience and harnessing skills; have you think about, what if suddenly you lose your job? Do you have a plan when that happened? What is your job search plans and strategy? How about managing your career to get that promotion? How about improving yourself and achieving your full potential? What if at some point in your career, hospitality industry doesn’t interest you anymore? How do you deal with the feeling of burnout? These are few of the many questions related to your career and job search that may sound simple, but the answers could be life changing. However, these are not the kind of questions that you tackle alone. Often in your life and career, you need professional support to get where you want to be. Perhaps you may have heard about career coaching but not sure what exactly it can do to you, or is it right for you? Before you decide to contact a career coach, first, you have to understand what is career coaching. Career Coaching is relatively a new profession that started in 1990’s. It used to be that only Executives, CEOs, VP, Presidents and those in high caliber titles employ coaches. Not anymore. These days, individuals such as, newly graduates from high school, college, those who just started their careers and professionals use career coaching services. Today, Career Coaching is a positive forward driven profession which focuses on individuals’ purpose, career goals, attitude toward job search and career development to attain career success. Career Coaching also helps organizations to boost productivity and employee morale. Why invest in career coaching? Because it is the best thing that you’ll ever do in your professional life. It reduces your time running around not knowing what to do with your job search and career development. Career coaching may sound expensive sometimes but think about the hundredfold you gain in investing for your self. 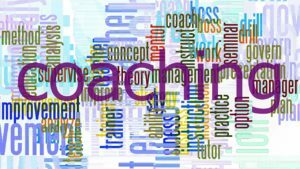 Who can benefit in career coaching? Students graduating from high school want to pursue courses and programs, is this program/course right for you? College students nearing graduation who need help in launching their careers. Individuals who need help in their career choices and career changes. Individuals who need help with job search strategy, resume polishing and networking. Individuals who need help on how to start their career development to get that promotion, salary raise or advancing their career through new degrees, courses or programs. Individuals who need assistance in developing their technical and functional skills to achieve their career goals. Individuals/Professionals who feel stuck in their current job, situation and afraid to change. Individuals returning to work after not working for many years or those who are in transition. Individuals/Professionals who need assistance with resume polishing, interviewing, online job search, career marketing action plan, dress for success, career assessment, retaining employment. What can you benefit in career coaching? Clarity in your job search, career development and strategy. Grow and develop self-awareness of your career needs/situations to enhance your career performance. Developing and enhancing skill sets. Correcting bad habits and building self confidence. Set realistic goals to reach success. Career Coaches are trained and certified individuals who direct, guide, instruct or prompts you to succeed. Coaches, as any human being may have different approach in coaching, so when choosing a career coach, think about what kind of approach is effective with you, do you need someone who is encouraging, positive, inspirational or tough-love motivators? Choose a right fit, someone who you are comfortable working with, or someone who you can connect with, and vice versa. Keep in mind, go with your inner guidance who is best for you. Find out by filling the form below to get half-hour free consultation.